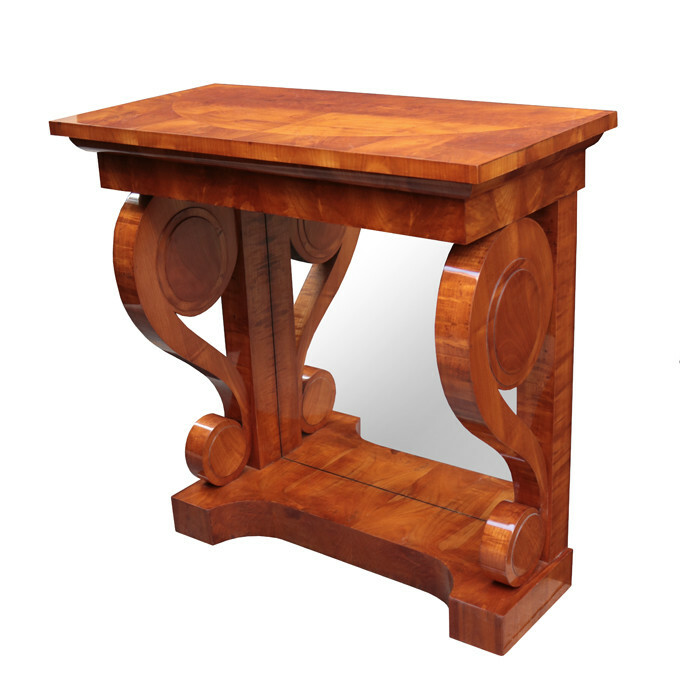 A fine Biedermeier console. Cherrywood with mirrored back panel. Dimensions: H:34½ W:34¼ D:16¾ Inches.